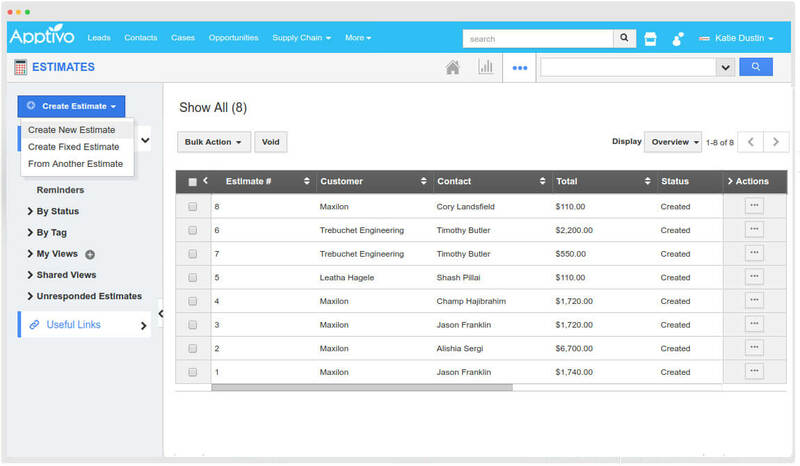 Simple, Integrated and Reasonable App to set and send up your Estimates to your Customers. 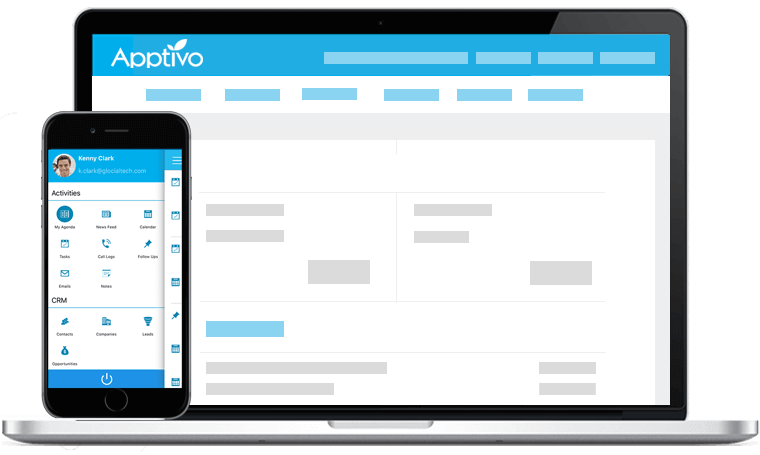 Provide Sales quotes to your Customers and track the sales Opportunities, generate Estimates for them, and then convert this Estimate into an Invoice or Work order once completed using Apptivo Estimates. Start your business by providing an online estimate for the intrigued items of your customers and convert it to a order. 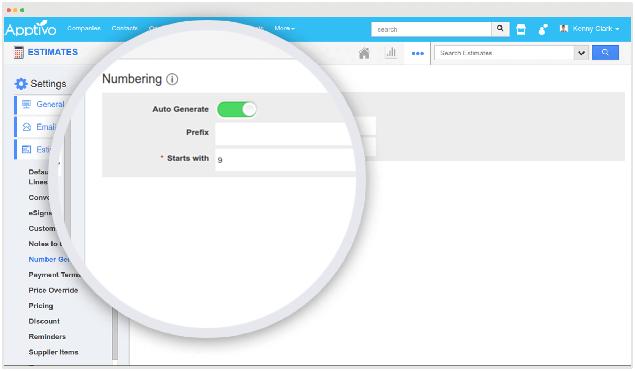 Generate an insightful reports of Estimates for your customers , their summary, activities and list within the provided period. 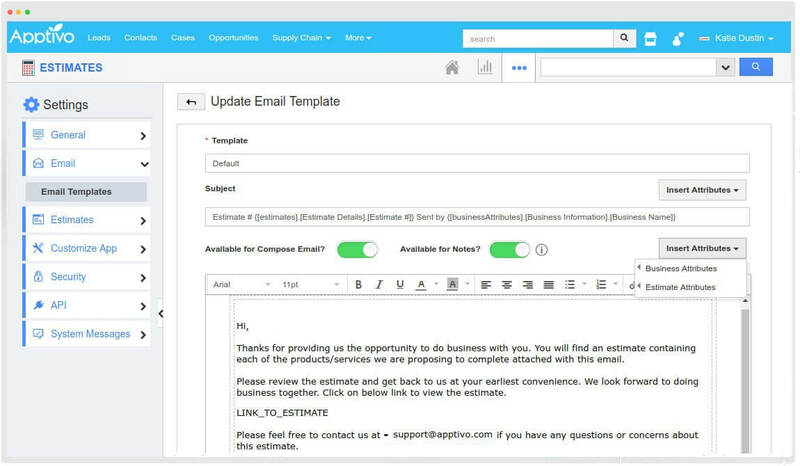 Design beautiful, eye catchy and customizable email templates to effectively communicate with your audience and share your message. 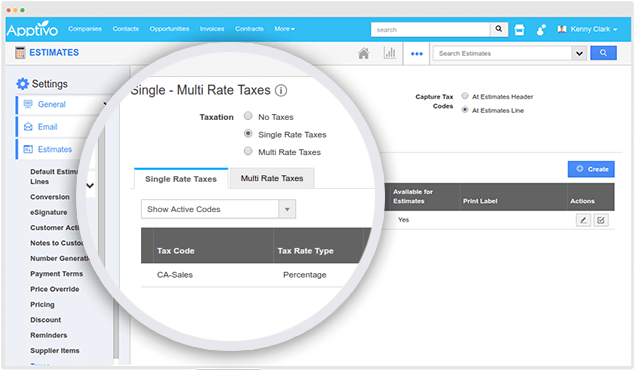 If your products or services require you to charge tax, you can set up the tax code for every authority you must pay for. 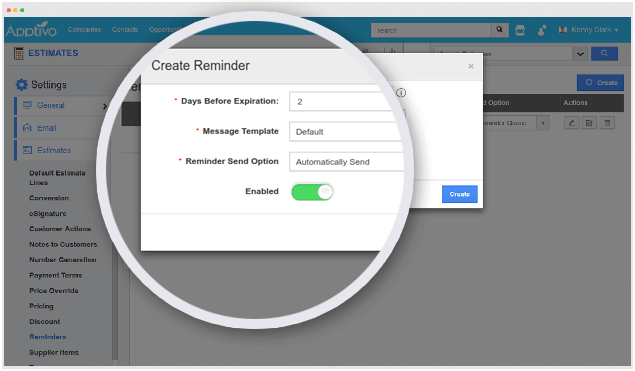 Send a reminder to your customers within a certain number of days after you send an estimate or proposal for a item. 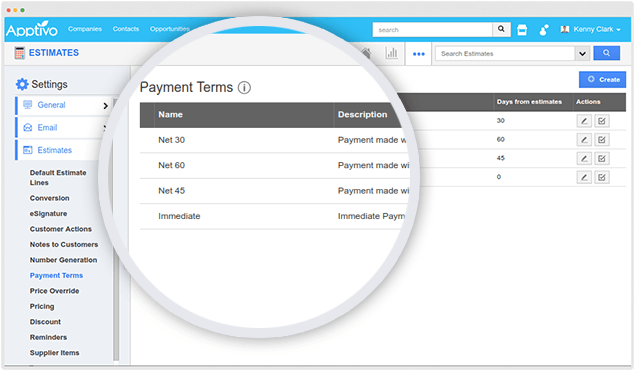 Select from the default terms or create your own payment terms to allow customers to pay your payment within the duration. 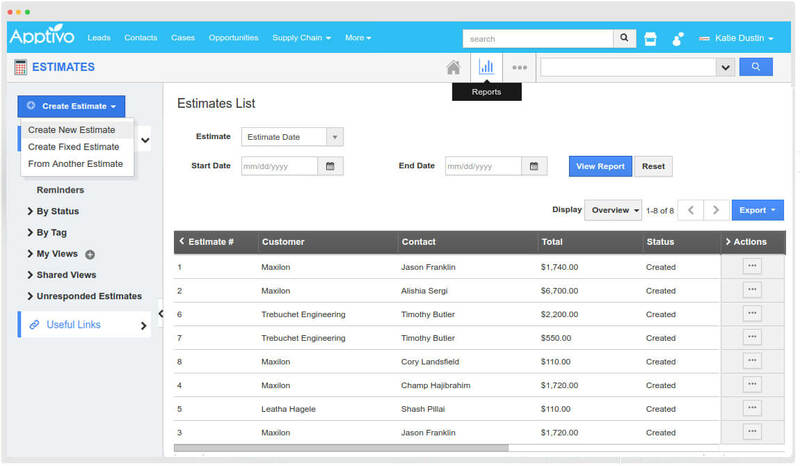 Give your estimates your own number and make it automatically generate whenever you create an estimate or quote. 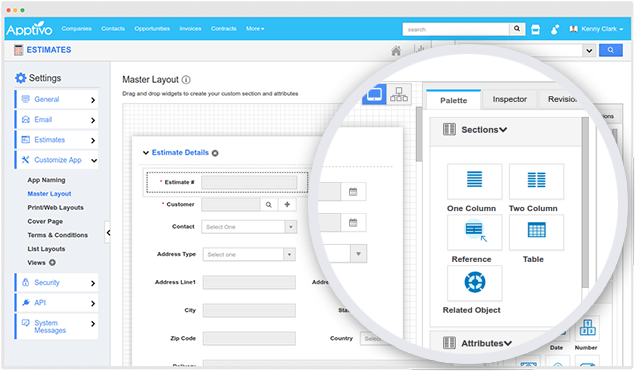 Configure your app layout by customizing the fields and adding more fields to make your layout much better than default settings. 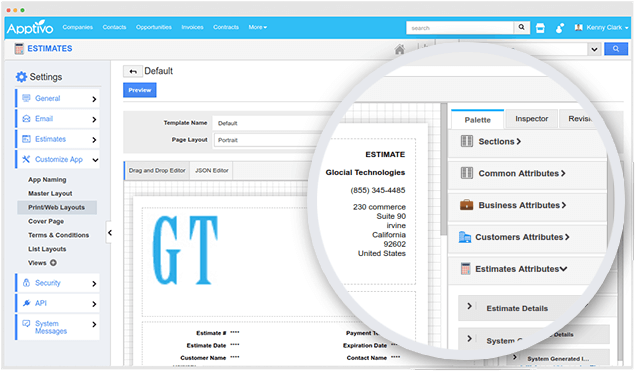 Create beautiful templates to customize the look and feel of the PDF estimates that are sent to the customers. 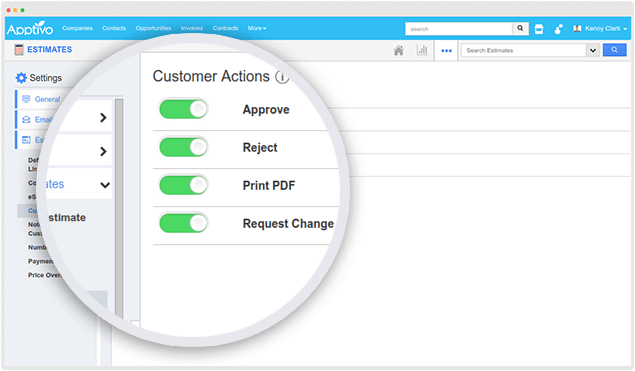 Enable or disable the customer actions which gets reflected in the Estimate proposal sent to the customer.